Abstract Morphometric analysis of Chel basin was carried out with the help of geographic information system (GIS). Mosaic of two Shuttle Radar Thematic Mapper (SRTM) 1Arc V3 (30m) tiles was used to prepare Digital Elevation Model (DEM). The watershed boundary was delineated and drainage lines were identified using Arc Hydro tools in ArcGIS 10.1 by collaborating Survey of India (SOI) toposheets. Morphometric parameters like stream order, stream length, bifurcation ratio, drainage density, stream frequency, form factor, circulatory ratio, and other parameters are computed under three broad categories namely linear, areal and relief aspects. River Chel was found to be a 5th order stream with overall length of 58.23 kms. Chel basin encompasses an area of 321 km2 with basin perimeter of 115.21 kms. Relief ranges from 92m to 2449 m with total relief of 2357 m. An elongation ratio value of 0.47 suggests Chel is a highly elongated drainage basin. Further the circulatory ratio of Chel basin is 0.304. Mean bifurcation ratio for whole Chel basin is 3.43 whereas weighted mean bifurcation ratio for the same is 4.05. The mean drainage density of Chel basin is 1.07 and drainage frequency value is 0.49. The elliptic hypsometric curve with greater initial downward deviation from the equilibrium line followed by long gentle gradient and finally becoming almost parallel to the abscissa and very low hypsometric integral (H.I.=0.15) is suggestive of basin being in ‘senile stage’. These finding would help in better understanding of various morphometric parameters at play and thereby enhance our spatial understanding for logical decision making in order to formulate proper management plans for the whole basin. Abstract Kalijhora in Darjeeling district of West Bengal happens to be one of the few places in extra-peninsular India which hosts Gondwana rocks. 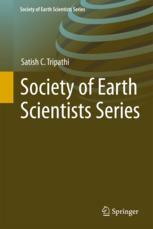 While Gondwana sedimentation in peninsular India largely took place within a fluviatile regime, marine influences on these rocks have been proved from some areas of Himalayan region mainly based on paleontological attributes which are absent in Kalijhora. The Kalijhora lithostratigraphic column which exudes imprints of Himalayan geodynamism is largely arenaceous with minor carbonaceous shale, sandy shale and coal. These arenaceous units were investigated in detail to locate marine signatures, if any. The sub-arkose to sub-litharenite Kalijhora sandstones having more of calcareous cements show imprints of locomorphic to phyllomorphic stages of diagenesis. Mg/Ca ratio of Kalijhora sandstones hints at possible precipitation of low to high magnesian calcite under a marine influence. The presence of dolomite in pore spaces and the dolomitic accretions in the form of stars indicate a phase of dolomitic intrusion which is a distinct marine signature. Further, both primary euhedral dolomite cement crystals and secondary dolomitized cements represent two phases of cementation that can be inferred to have formed during a possible marine incursion phase as seawater is the common and principal source of Mg in sediments. Abstract Hydrogeochemical assessments of groundwater of Thoubal district of Manipur was investigated to ensure its suitability for consumptive use with respect to presence of arsenic and fluoride and also for suitability for irrigational use. Twenty (20) physicochemical parameters were analysed for thirty-four (34) spatially distributed groundwater samples. The geochemical results indicate the groundwater in the study area are slightly alkaline, hard and exceeds desirable standards for EC, TDS and Salinity. The presence of geogenic contaminants such as arsenic (As3+) and fluoride (F-) in some of the groundwater samples signify the presence of arsenic and fluoride bearing aquifers in the study area posing a threat to public health safety in the region. As per geochemical analysis, predominant groundwater types of the study area are represented as Na-Ca-HCO3-Cl type (64.6%) followed by Ca-Mg-ClHCO3type (17.7%) and Ca-Mg-HCO3-SO4 (17.7%) type which are dominated by rock-weathering geochemical process. The geochemical facies, Na-Ca-HCO3-Cl indicates the groundwater samples belong to older alluvial sediments and Ca-MgHCO3-SO4 represents younger alluvial sediments of Fluvio-lacustrine origin. Low level of DO concentration and fluctuation of ORP in most of the samples indicates anoxic aquifer condition. As per irrigational index values, some of the groundwater samples were found to be suitable for irrigational use except few pockets of the study area where water is found to be very hard due presence of excessive alkali salts. Abstract Five ammonoid species Zelandites odiensis, Tetragonites rectangularis, Tetragonites cf. subtimotheanus subtimotheanus, Desmoceras (Desmoceras) cf. latidorsatum and “Beudanticeras” newtoni have been systematically described from the Karai Formation (Uttatur Group) of the Cauvery Basin, south India. Tetragonites rectangularis and “Beudanticeras” newtoni have been documented here for the first time from the Cauvery Basin. On the basis of the global occurrences of these genera/species, the basal part of Karai Fromation can be dated Early Albian, which has been broadly considered as Albian by the earlier workers. This will further enable to establish a more distinctive correlation in between regional as well as global Early Albian horizons. Keywords: Microstructure, Enamel, Dentine, shark teeth, Miocene, Baripada Beds.